It’s great when you can draw a straight line from a singer to their influences. But it’s even better when you follow them down a path and realise that line will take many twists and turns along the way to a debut single. 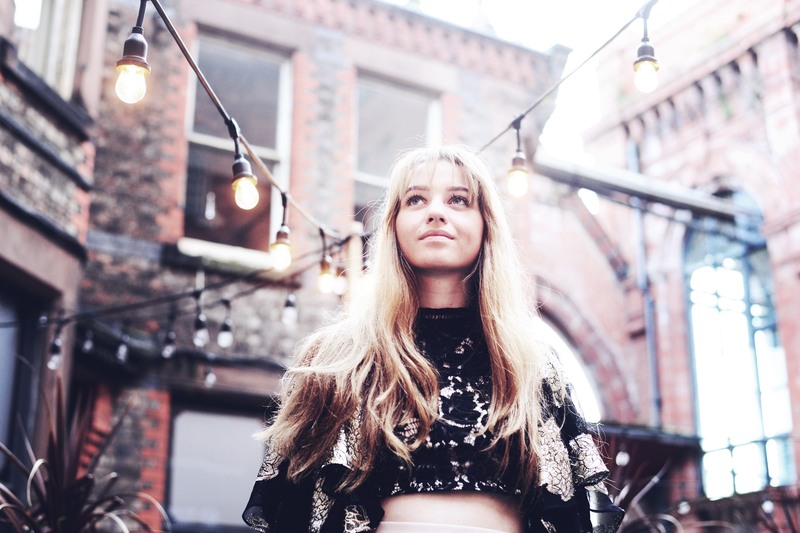 I first heard Formby’s Maddie Stenberg sing at an open-mic night; she was nervous but confident… the kind of idiosyncrasy that defines an artist. By Alan O’Hare. A journey of a thousand miles begins with a single step and Maddie Stenberg stands at that precipice. “I don’t know if this is right or if I’m wrong in the right light,” she sings in powerful debut single ‘Take Me Home’. The lyrics are looking for an answer, but the music the teenager has wrapped them up safe and warm in is anything but fragile. Stenberg has always had a strong presence. The startling ‘Mad Love’ captured attentions on the Liverpool acoustic scene a little while ago. Since then the singer/songwriter has took her time, ambling along like one of the stretched codas she uses so well, and worked hard to locate the right songs, sounds and souls to help her standout from the crowd. Is ‘Take Me Home’ (watch a live acoustic take below) the song to break the pack wide open for her? Time will tell. But, from the moment the tune floats in on an aching EBow guitar figure and a gentle acoustic strum, it’s obvious Stenberg has decided the time is now. Produced at Lark Lane’s famous Motor Museum, ‘Take Me Home’ allows gorgeous piano chords to paint block and bold colours, as bass and drums splatter urgent rhythmic patterns across the track. Stenberg has her eyes firmly fixed on the big prize as the sounds of, say, London Grammar and Lianne La Havas, mix with the songwriter’s Fleetwood Mac melodic obsession. Harmonies from Stenberg and backing vocalist Elly Grice enter the picture around half a minute in and the song continues on a heavenly trajectory to its crescendo finish. It’s worth noting that ethereal notes from a psychedelic electric guitar bring the noise and also add an urgent uneasiness to the recording, perhaps safeguarding the sweet melody from falling into a saccharine sickness. Stenberg’s vocal performance, too, has stepped up a gear and gone are the days (and open-mic nights) of a newcomer learning to match polish and pitch to spirit and soul. ‘Take Me Home’ and Maddie Stenberg deserve to be everywhere.